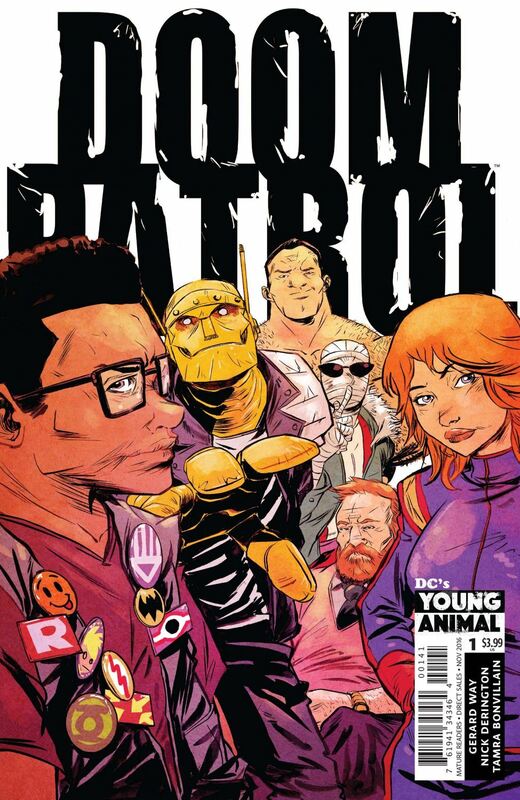 Doom Patrol is a hard team to get right. Introduced in the 1960s, the team was basically the equivalent of Marvel’s X-Men. Both groups were lead by a genius in a wheelchair, and both consisted of heroes who were outcasts in society, and who didn’t get along as well as most team members did. Robotman, Negative Man and Elasti-Girl dealt with a French ape, a brain in a jar, a shapeshifting woman with a severe personality disorder, a fat alien and an immortal madman, while along the way picking up a green boy and a telepathic multi-millionaire. 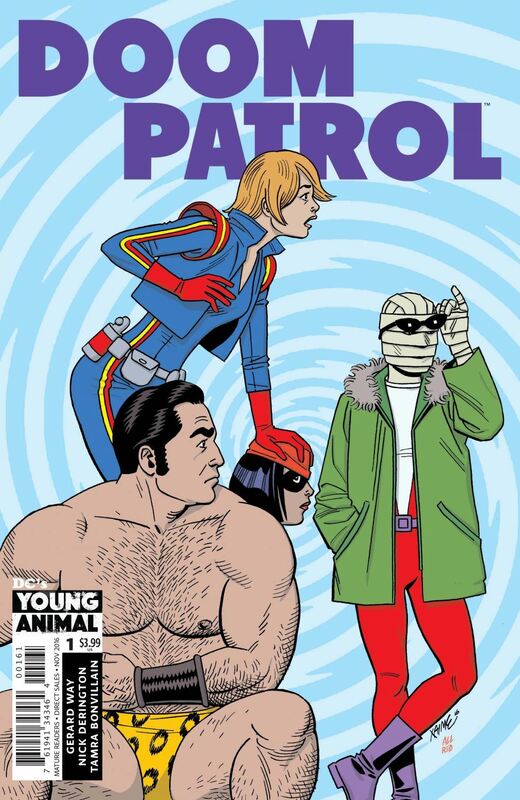 In the late 60s, with sales waning, the Doom Patrol was killed off en masse in the final issue of their book. There have been many revivals of the team over the years. The less than impressive ones tried to build off the popularity of the X-Men, making the Doom Patrol feel like nothing more than DC’s version of the popular team. 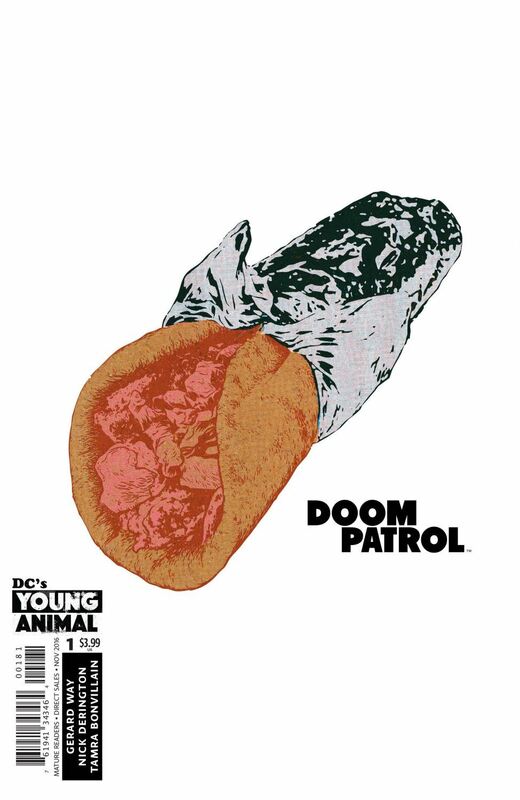 But the Doom Patrol was always something different than the X-Men, despite the similarities. There was a difficult to define weirdness factor to their original stories. To put the team into normal super heroics feels somewhat like a betrayal of the concept. 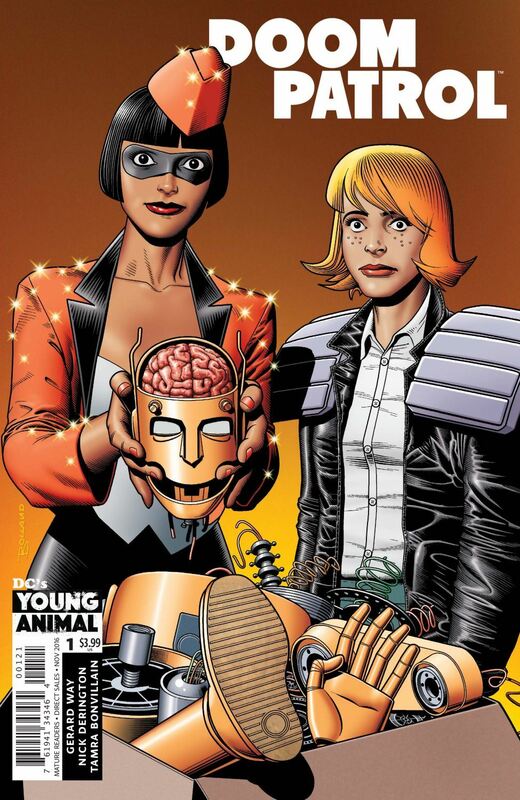 Grant Morrison excelled at writing the Doom Patrol. He captured the weirdness factor perfectly, while at the same time digging into the characters and their history, crafting some chilling and powerful tales. Since Morrison, the revivals have been of mixed quality. They try to play the weirdness game, but it’s harder than it looks. So how does Gerard Way do with this difficult assignment? Cleverly, he spends a lot of this first issue on a completely new character, Casey Brinke. Casey is an ambulance driver with some odd traits. One of which is simply that things don’t tend to upset her as much as they would other people. Things like having her roommate disintegrated before her eyes. She ponders other realities, and thinks about the advice her mother gave her before flying into the Sun. Casey is normal enough to relate to, but just off the mark. There is clearly something not quite right about her, and it’s interesting enough to pique one’s interest. Robotman makes his return in this issue as well, emerging from a gyro, for reasons as yet unexplained. Between his scenes, and a great tease of Niles Caulder, the Chief who formed the original team, it is clear that we are in the middle of some larger story already, but are only being allowed a glimpse of that picture, while we get to know Casey. The other old member of the team to appear, one introduced during Grant Morrison’s tenure, is Danny the Street. 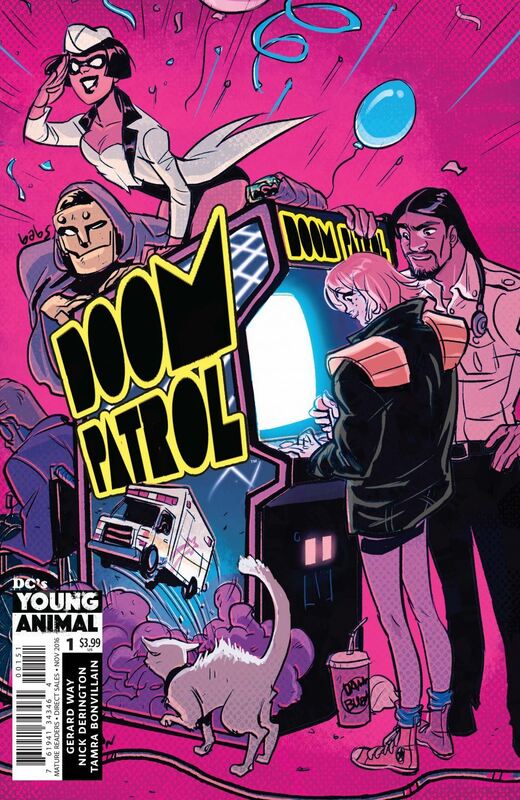 In the last run of Doom Patrol, poor Danny had been reduced to nothing more than Danny the Brick, and it’s as a solitary brick that he is still stuck as in this story. Danny is, delightfully, defined as a "sentient organic generator sprawl." Danny’s existence has come to the notice of some other-dimensional creatures who are scheming nefarious deeds, and will clearly be the driving force as a new team will get created. Way’s storytelling is excellent, and I found the tale at all times odd and entertaining. High marks also go to the artist, Nick Derrington, who creates a solidly real world for the characters to exist in. One that serves to emphasize the more unusual elements of the series. A very good first issue, with a lot of promise.